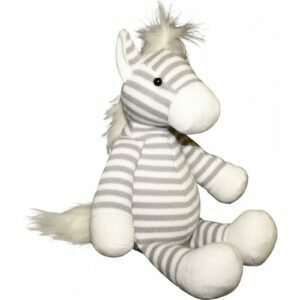 It’s cute, it’s a cuddly striped horse soft toy and it’s super elegant with a neutral coloured knitted design. A large horse toy of excellent quality that is sure to become a favourite. With super soft and shaggy mane and tail this gorgeous horse toy is just the perfect gift. Every purchase you make through our Hoofbeats online store also helps to support some of the most vulnerable children in our community. All proceeds go straight back into the program to help us to offer more program places. Click here to see all the shop categories. Our store is based in Australia.